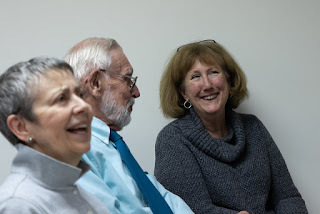 Our membership meeting on April 13 was fun AND instructive, as we enjoyed fellowship and some interesting talks by members. Theresa Murphy shared her tips on creating a professional-quality family memory book using one of a variety of print services. 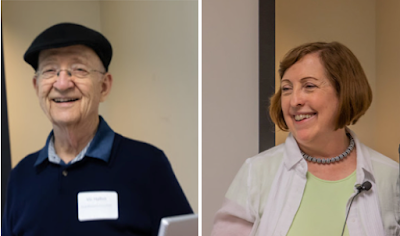 Vic Halfon recounted the amazing story of how research and DNA led to his reunion with descendants and cousins of the father he never knew. Bill O'Neil, a member since 1995, whose many contributions to the society include his long tenure as chair of the Book Repair Committee, in which he has overseen the maintenance and renewal of countless volumes and taught the skills of the trade to other volunteers. 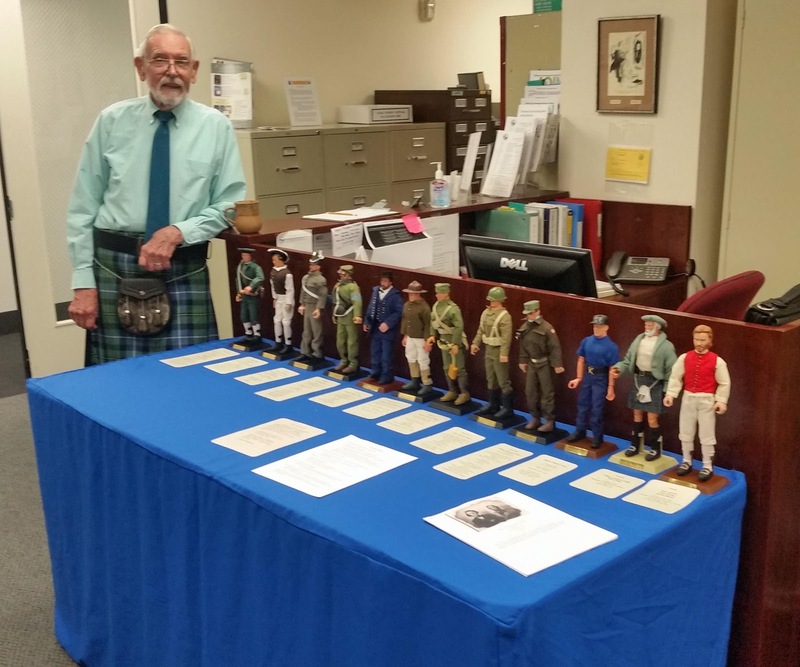 We were also treated to an exhibit of Bill's collection of "Ken dolls in uniform" - a dozen figures outfitted in military costume representing his ancestors' service through the centuries. 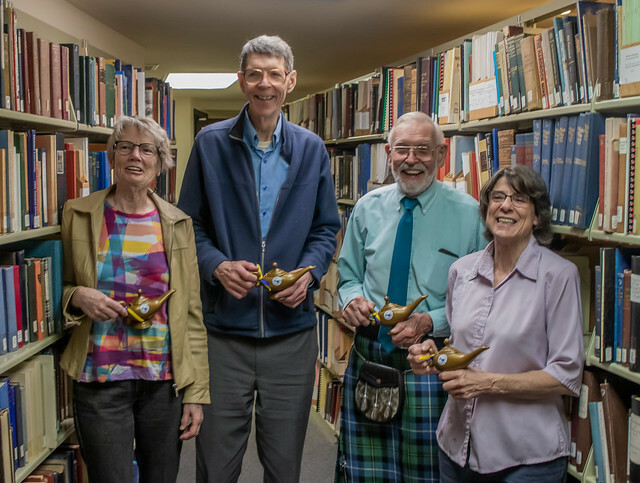 Longtime Membership Team leaders Nancy Servin, Adelle Treakle and Cheryl Schmidt were also recognized, as was our dedicated "Saturday Library Assistant" Jerry McGovern. Our indefatigable Volunteer Coordinator Kathleen Beitiks presented the awards and helped bring the whole event together.